GET TO KNOW THE CHARITIES YOU HELP SUPPORT. Alzheimer's Network (AlzNet) provides compassionate support, education and outreach to individuals with Alzheimer's disease and other dementias, their family members and caregivers. AlzNet provides several programs for individuals with Alzheimer's or dementia such as art therapy, music therapy and a MUSIC and MEMORY iPod program. For family members and caregivers AlzNet offers educational classes, a monthly support group, care navigation, information and resources, a lending library and memory screenings. 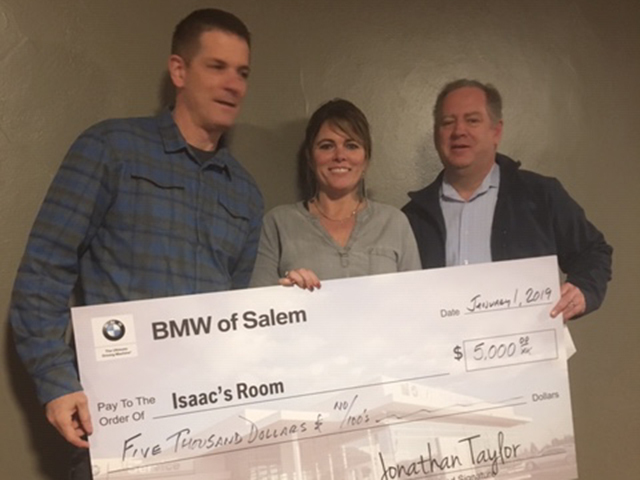 The gracious donations from BMW of Salem go to help us continue our programs and services, and allow us to offer them for free to the community. 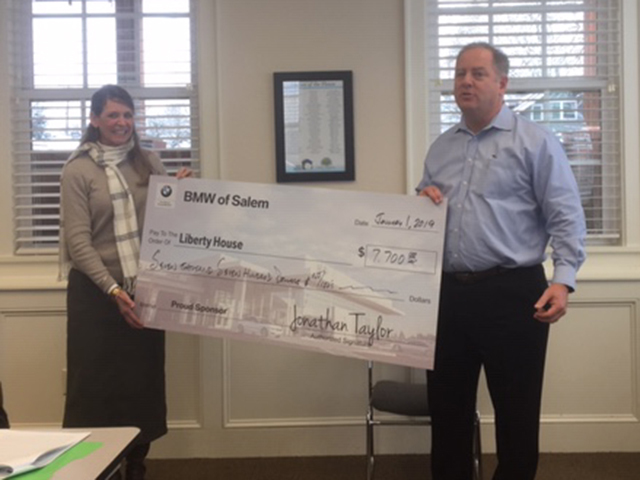 We would not be able to offer all of these programs without the support from our community partners such as BMW of Salem. Thank you for helping us continue our mission to meet the individual needs of those impacted by Alzheimer's disease and other dementias. United Way of the Mid-Willamette Valley stabilizes families and prepares children to be successful in school and in life! Kids need to be healthy, and in school to learn. A child is much more likely to concentrate on schoolwork when their basic need for food, shelter, health and dental care are met. By investing strategically to help families meet the basic needs of their child, both physical and emotional, we greatly increase the likelihood that parents will be successful and engaged in their child's education. 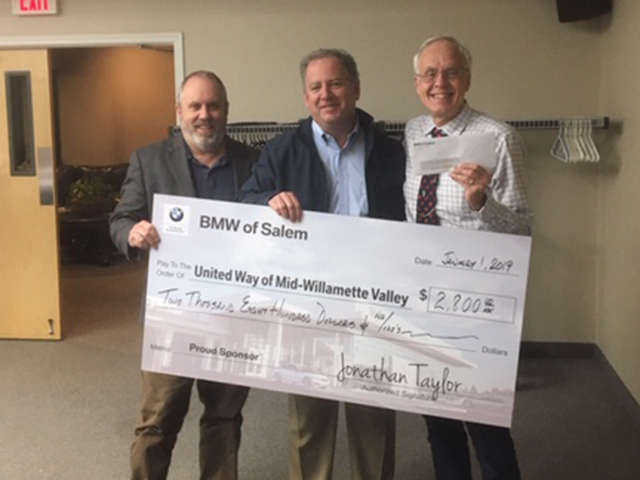 Last year, with help from BMW of Salem, United Way provided basic needs and emergency services to 37,555 people - providing emergency and temporary shelter, respite care, rent assistance, utilities assistance, food, clothing and school supplies for vulnerable families in our community. Additionally, we provided transportation assistance to over 9,000 individuals and families so they could get to job interviews, counseling, parenting classes, and medical appointments. With your help we will reach even more individuals and families this year, removing barriers and helping them build a stable life. 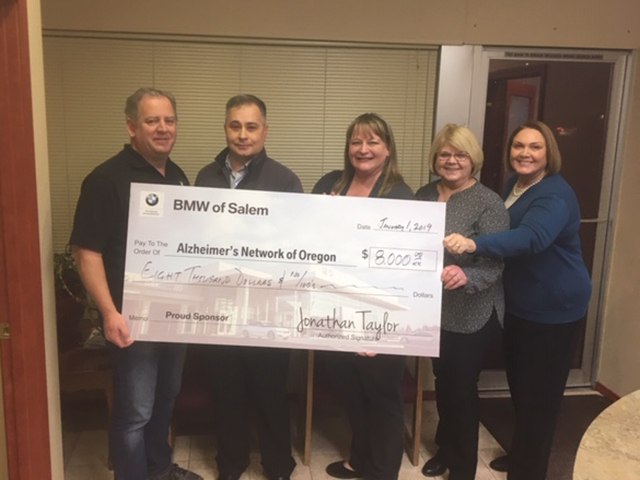 This work is not possible without the generous support of businesses like BMW of Salem. Early in their 16 years of providing foster care to teenage boys, Mark and Tiffany Bulgin lost their infant son Isaac to a heart problem. Isaac's Room is literally and symbolically that place where we take care of our own kids, now offered to divested young people in the community. IKE is a nickname for Isaac, and has become an ethic that compels a parental intensity about our mission and activity. WHAT IS A "DIVESTED" YOUTH? Divested means power has been given up or taken away. So in the life of a divested youth, it refers to the state of being (or feeling) powerless to face the challenges of life with any confidence or effectiveness. IKE Quest is the family life of Isaac's Room - the journey toward health and growth in all areas of life. Youth are engaged and mentored in challenging experiences in three domains - work, service-learning and Sparks*. We believe in learning by doing, in gaining strength and skill through challenge, and that life is more interesting when you're curious. For a better future and just for fun, we practice these beliefs in everything from pulling espresso to working out at the Y to catching, cleaning, and feasting on Dungeness crab. Family Building Blocks is the Relief Nursery serving Marion and Polk counties. Our mission is to "keep children safe and families together." We are a child abuse and neglect prevention agency whose programs are designed to nurture children, support parents and strengthen families. We partner with families with young children, age prenatal - five, who are facing challenging life circumstances. Our core programs include therapeutic classrooms, home visiting and parenting education. Annually over 99% of the children enrolled in our prevention programs are able to avoid foster care, and remain living safely with their families. 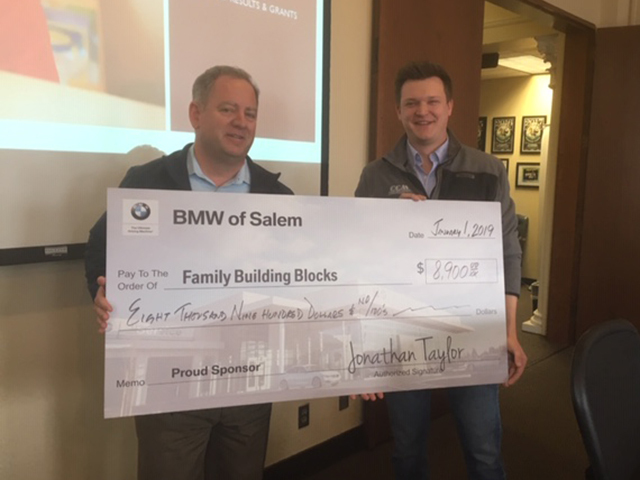 Family Building Blocks is greatly appreciative of the partnership with BMW of Salem. The generous support we have received from the 4th quarter fundraiser goes to our greatest need - direct services for local families. Since 2015, BMW has contributed $8400 which has covered the annual cost for one child enrolled in our therapeutic classroom. Therapeutic classrooms are an innovative strategy that incorporate evidence-based curriculum, research on brain development and early childhood expertise to develop resilience in high-risk children. There is an incredible return on investment, more than 8:1, for supporting quality, early childhood programs like Family Building Blocks. We also generate a significant cost savings for the community. It costs $7500 annually to enroll a child in our therapeutic classrooms, compared to the annual cost of foster care ($28,000), or a youth correctional facility ($95,000). 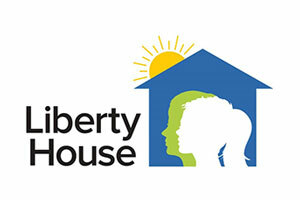 Liberty House provides assessment, counseling and support for children and families facing concerns of child abuse, neglect, trauma or grief. Be a resource of information and support to our community, its families, agencies. And professionals regarding the issues of child abuse and protection.